How Much Caffeine in Chocolate Covered Espresso Beans: Should You Be Concerned? How Much Caffeine in Chocolate Covered Espresso Beans: Should You Be Concerned? →How Much Caffeine in Chocolate Covered Espresso Beans: Should You Be Concerned? How Much Caffeine in Chocolate Covered Espresso Beans: Should You Be Concerned? 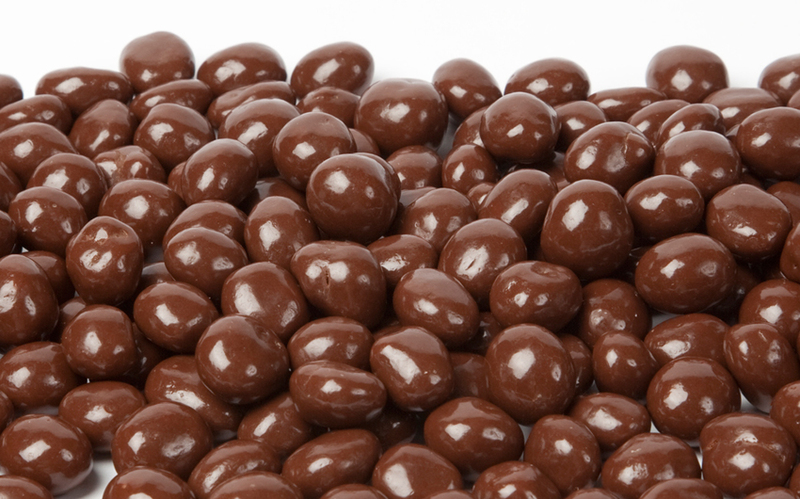 Are you wondering about how much caffeine in chocolate covered espresso beans? If you are, do not be left thinking. Keep on reading the rest of this short article and we will discuss this topic briefly. There can be confusions if you search for this question online. There are many assumptions, making it harder to decipher which one is true. We will try to provide you with the much needed clarification. Additionally, we will also deal with why is caffeine such an important concern in the first place. If you have not yet started counting your caffeine intake, when you are done reading, your habits might just change. Why Should I Limit Caffeine Intake? There is no universal answer to this question, basically because there are various factors that will come into play. For instance, the specific type of chocolate that is used will have an effect on the caffeine content, as well as the way the espresso is prepared. Generally speaking, however, it is asserted that one coffee bean has 12 milligrams of caffeine. This means that once you consume 10 chocolate covered espresso beans, you are already having 120 milligrams of caffeine in your body, which is roughly more than one shot of espresso. Keep in mind that the concentration of caffeine in chocolate ﻿﻿covered espresso beans can be higher than what you can find in an espresso. This is basically because that aside from the caffeine that is already contained in your espresso, chocolate also has caffeine. Just to give you an idea about caffeine, let us also take a look at the content of caffeine in other popular sources. In one shot of espresso, specifically if robusta beans are used, caffeine content is 100 milligrams. More so, caffeine content is 8 to 55 milligrams in teas, 177 to 268 milligrams in coffee, 70 to 170 milligrams from energy drinks, and 36 to 46 milligrams from colas. When you try to compute how much caffeine you are consuming in a day, it is important to take a look beyond just your coffee. Now, let us go to another important matter. For sure, you are now asking about how much caffeine you should have. If you are a healthy adult, the safe level would be anywhere from 300 to 400 milligrams of caffeine daily. On the other hand, if you are pregnant, try to limit it to an amount that is not above 200 milligrams. Caffeine poses serious risks to pregnant women basically because it is not only the mother who will be affected, but also the baby in their womb. As always, it pays to be educated. With this, you should be informed about the dangers that can be posed by caffeine in your body for pregnant women, several studies in the past have noted that that too much caffeine in the body can result into having a baby with smaller size than what is right for gestational age. There have also been some assertions that it can lead into miscarriage. The latter, however, is still subject for further studies. For healthy adults, going above the recommended intake of caffeine will also have its own risks. Among others, one of the most common would be sleeplessness. This is basically because caffeine can keep you awake. Therefore, if you have too much, your energy may be too high and you won’t feel the urge to sleep. This can affect your productivity the next day. In addition, many have also reported experiencing palpitations. Your heart will beat faster than the normal and you can also end up sweating or getting cold. After knowing some of the health issues that are possible because of caffeine overdose, some people might resort into kicking it out completely from their habits. If you are dependent with caffeine, this is not one thing that can be an easy undertaking. It is going to be difficult, especially because of what is called caffeine withdrawal. The latter will be common if you always drink coffee and if all of a sudden you stopped. Your body won’t be used to it. You will most probably experience lack of concentration, restlessness, sweating, and diarrhea, among others. With this, make sure to limit your caffeine intake and not necessarily have it eliminated. Caffeine, after all, has its own benefits, as long as it is consumed right. There you go! By now, I hope that I helped you understand how much caffeine in chocolate covered espresso﻿ beans. I also hoped that it provided you with enlightenment about how caffeine is also present in other sources, and more importantly, how it can be a health issue when taken beyond the recommended amount.